Talaga’s book, a compilation of CBC’s 2018 Massey Lecture, was released in Thunder Bay, where so many students from our Northern Reserves had died some under mysterious circumstances. Dryden Rotary in conjunction with the clubs in Sioux Lookout and Kenora in 2016 began a literacy project in Sandy Lake where Grade one and two children read books to their parents. Talaga describes how our indigenous students still today graduate high school as a rate significantly below that of the country’s non-Indigenous population. Dryden Rotary first heard about what our local high school was doing to address this problem at a lunch talk in 2014. 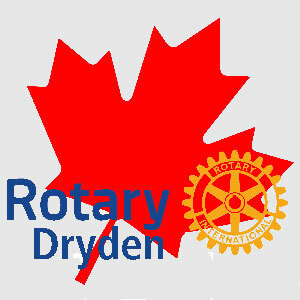 In 2015 Dryden High School leaders updated Dryden Rotary members on the what had become the “Four Directions Program” with its focus on assisting First Nations and Metis students entry into high school. 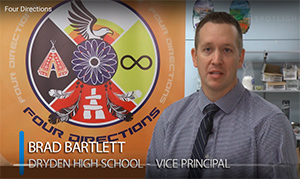 This month, Tommy Johnson, of Shaw Cable TV, has released a visual update on the success of KPSB’s Dryden High School’s Four Directions program with interviews of two students and two support staff in video format. 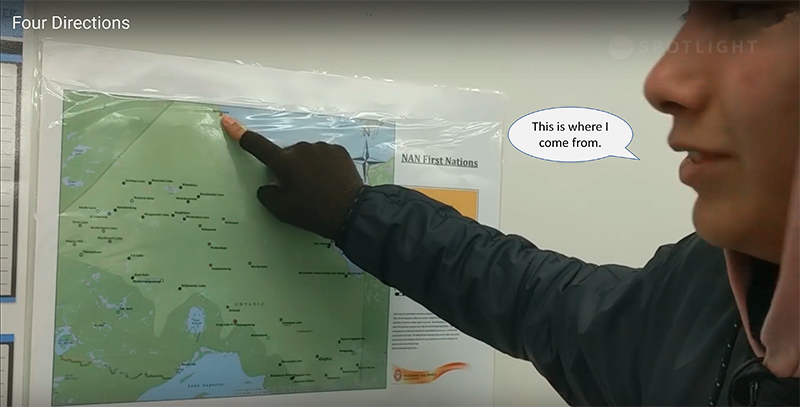 The students speak highly of the program, and one teacher makes the point that the program has doubled the success rate at which Indigenous students graduate from Dryden High. Although we still have room for more progress, it is good to know we are making significant strides in making the right to an education for our region’s Indigenous youth more equal. Dryden’s Rotarians encourage you to view this video of DHS’s Four Directions success. If you LIKE this story please click on the icon to the bottom right. 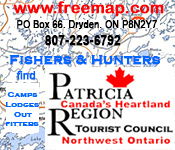 Be the first to start a conversation by leaving a comment in the blog box below. Requires member login.